My principle research question is: how in art and technology projects do interdisciplinary considerations and frameworks for collaboration shape our understanding of gendered bodies and technical interactions? In theory, this involves the creation of an unconventional genealogy of key historical and contemporary female artists that hybridize human and non-human phenomena in their works. In practice, Orbital Resonance is one intervention aimed at answering my research question. 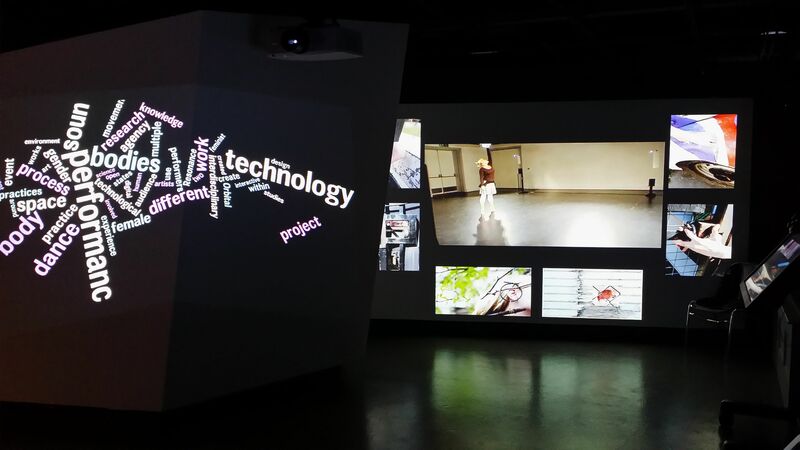 In our newest blog post, Margaret Westby writes about her multimedia project Orbital Resonance, which she mounted in the CEREV Exhibition Lab on October 17 as a component of her PhD in Humanities through Concordia’s Centre for Interdisciplinary Studies in Society and Culture.